Mastered at Frankford Wayne Mastering Labs. Little Idiot Music / Warner Tamerlane, BMI. Track B1: Recorded at Ovum Sound Studios, Philadelphia. ℗ 1995 Elektra Entertainment Group, a division of Warner Communications. Based on the manufacturing process, some (or all?) copies have been pressed on dark brown/black translucent vinyl which is only visible when held up to a strong light. The Para Los Discos version has this Wild Pitch sort of early MK thing going on mixed with this New York club style. Infectious stuff. Josh Wink's all over this song with his mad acid remix. Josh Wink takes the vocal sample and riff and he goes to work making a very Dont Laugh acid techno track version. The underground mix adds another peak rave remix to this 12". Some solid club fodder here. 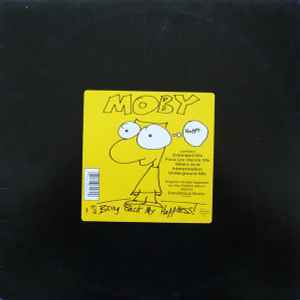 Nothing outstanding but nostalgic if anything for the evil dj moby or josh wink fans.